Traditions continue at the Tulsa PAC in December with a spirited line-up of shows and events to spread the seasonal joy throughout Northeastern Oklahoma. Watch the beloved holiday favorite “Home Alone” on a giant screen while Tulsa Symphony performs renowned composer John Williams’ delightful score. 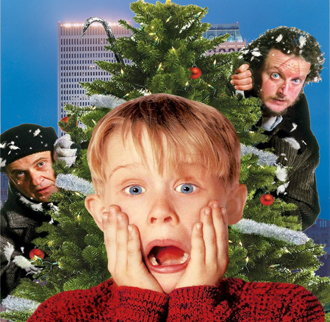 Hilarious and heartwarming, “Home Alone” is holiday fun for the entire family! Ron Spigelman conducts the concert Dec. 1 in Chapman Music Hall. Tulsa Festival Ringers, Tulsa’s only auditioned community handbell ensemble, is more than a musical novelty; it is an ensemble of musicians who specialize in handbell ringing. The members are handbell directors and ringers from various churches throughout Eastern Oklahoma who want to share their love of music and handbells. The in-demand group presents two free Brown Bag It Concerts Dec. 5 in the John H. Williams Theatre, at 11:30 a.m. and 12:45 p.m. The shows are presented by Tulsa PAC Trust. American Theatre Company presents Tulsa’s oldest holiday tradition, “A Christmas Carol,” Dec. 7-23 in the John H. Williams Theatre. Robert Odle and Richard Averill’s musical adaptation of Charles Dickens’ beloved novella about the joy of giving has been a Tulsa tradition for more than 40 years. It’s a heartwarming story about Scrooge, a lonely humbug who is given the rare chance to change his life and find his heart. Revisit or start your own family tradition this holiday season. Theatre Tulsa Family presents the classic “Les Misérables” Dec. 7-16 in a special “School Edition.” Theatre Tulsa’s Broadway Academy teenage students perform the inspiring saga of love, hope and redemption! These incredible young performers won’t just dream a dream – they’ll achieve it! The show is performed in the Liddy Doenges Theatre. 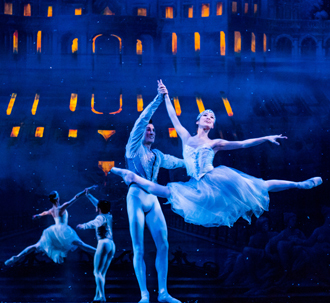 Set in 1920’s Paris, the birthplace of classical ballet, Marcello Angelini’s vision of “The Nutcracker” has been a Tulsa favorite since 2003. Whether you’ve seen it once or one hundred times, this magical holiday spectacular is guaranteed to capture your imagination. Tulsa Ballet presents the annual favorite Dec. 8-23 in Chapman Music Hall. Theatre Tulsa Academy’s Showstopper Showcase comes to Liddy Doenges Theatre Dec. 13. Theatre Tulsa Academy’s semester-long experience, during which students ages 8-12 work with professionally trained instructors, culminates in this one-night-only engagement. It’s last call for the Christmas Cabaret Dec. 13 and 14. Sheridan Road presents candlelight, nostalgia, a cappella carols and jazzy Christmas tunes in the elegant Westby Pavilion! With table seating for everyone, guests will enjoy a buffet of hors d’oevres and desserts, as well as a complimentary copy of the Sheridan Road Christmas CD available for each ticket holder. The final concert features selections from the Sheridan Road Christmas CD plus favorites from previous years, and all accompanied by pianist/arranger Brad Henderson and Combo. Tickets for all events are available at TulsaPAC.com or by calling the box office at 918-596-7111. This entry was posted in Out & About on November 27, 2018 by admin.